This property has had 26 views in the last 3 days! Includes all bed linens and 12 bath sets. ADDING A 4TH BEDROOM FOR 2019 SEASON! "Sounds Right" is comfortable and spacious with breath taking sunsets over the ICWW. You will love relaxing on the partially covered back deck while you watch the boats leisurely cruise by. Perfectly situated in the quiet family friendly community of the Village of Stump Sound which features a beach access, community pool, tennis courts and small craft launch. Upon entering you will be greeted by a magnificent wall of floor to ceiling windows just beyond the front foyer in the main living area. The family room (with queen sleeper sofa), kitchen and dining area are open to each other and offer the ultimate space for togetherness. You will not mind cooking in this upgraded kitchen with breakfast bar, stainless appliances, new granite counter tops and anything you will need to cook the perfect family meal during your stay. Off of the main living area is the Master bedroom which features a king size bed, ensuite bathroom and access to the sound front deck. You will not want to miss grabbing a book and glass of wine to nestle on the twin bed swing that is located in the sunroom just behind the kitchen or grab a pillow for a unique slumber experience. 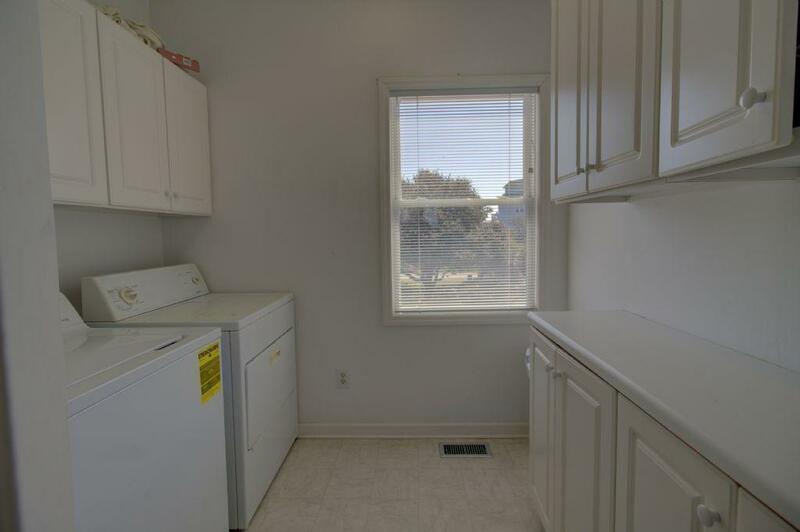 Full size washer and dryer are conveniently located in the laundry room that is nestled just beyond the kitchen. On the top floor you will find three bedrooms. One on each side of another master bedroom with a king bed, full bath and seating area with a generous deck overlooking the sound offering views to the waterway and mainland. Bedroom 2 has a queen bed and bedroom 3 has a double bed with a trundle for additional sleeping space. The outside is designed for relaxation. The main level deck extends the entire length of the home and is partially covered by the top deck. The lower area leads to the private outside shower. Take a short stroll past the fire pit to the private dock, the dock allows you to bring your boat and leave it right at your back door.There are also two kayaks and a paddleboard for your use during your stay! After a long day of fun, grab the marshmallows and head to the fire pit for a toasty treat. Is there a dock at the back of this property? Yes! The small dock that you see in the pictures is exclusive to this home and located in the backyard. Please note, the boat lift is not for guest use, per homeowner request.